Today, the level of automation of all warehouse processes is steadily climbing. WMSs are being introduced everywhere, as the efficiency of logistics processes and the entire production facility largely depends on them. Nevertheless, the percentage of manual labor is still high. Due to the limitations of traditional technologies, warehouse workers had to spend time and effort on not-yet automated processes. And one of these essential tasks is maintaining rechargeable batteries. Typical rechargeable batteries are produced and maintained using century-old technology, which is reflected in the additional time and labor costs. For a modern, automated warehouse equipped with the latest information technology, such operations as measuring the electrolyte level, topping up with distilled water, and forced venting of hydrogen are simply nonsensical. And think of the cost of cleaning up a sulfuric acid leak! A modern warehouse needs the latest solutions. The appearance on the market of Li-ion batteries for lift trucks was a most welcome development. Li-ion batteries free a company from excess labor costs and allow the downsizing of personnel. The condition of a battery is monitored by its built-in management system, and it can be recharged easily and quickly. By the way, your smartphone or handheld PC most likely contains a Li-ion battery. Thanks to it, various types of devices work longer without recharging. And if a battery must be reliable and long-lived for personal use, it is all the more necessary for use in warehouses, where it is important to be certain of stable everyday operation. What are the specific advantages to Li-ion batteries in a warehouse? Specialists will be interested to learn the specific advantages of Li-ion batteries – then you can understand exactly what you will gain when your warehouse is re-equipped with new batteries. First of all, these batteries possess the greatest energy density of all similar devices. Secondly, Li-ion batteries charge the most quickly – up to 90% of capacity in 30-40 minutes. The batteries have a high lifetime: the battery will last up to 3000 charge/discharge cycles. The self-discharge, by contrast, is very low: up to 5% per month. Also important to a modern business is the fact that Li-ion batteries are environmentally friendly and can be recycled easily without preliminary processing. 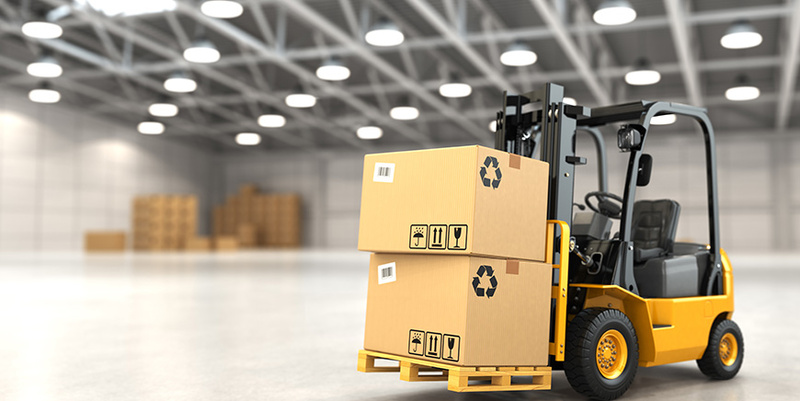 Modern warehouses need the latest technical innovations that help them make day-to-day operations less expensive, quicker, and more stable. Without question, transitioning to Li-ion batteries is an important step toward greater efficiency in organizing all work processes.